The controversial film maker Bernardo Bertolucci was born on this day in 1940 in Parma. Bertolucci won an Oscar for best director as The Last Emperor picked up an impressive nine Academy Awards in 1988 but tends to be remembered more for the furore that surrounded his 1972 movie Last Tango in Paris. Last Tango in Paris, starring Marlon Brando and Maria Schneider, caused outrage for its portrayal of sexual violence and emotional turmoil and was banned in Italy. Although the storm died down over time, it blew up again in 2007 when Schneider, who was only 19 when the film was shot, claimed she felt violated after one particularly graphic scene because she had not been told everything that would happen. Schneider died from cancer in 2011. The controversy has overshadowed what has otherwise been an outstanding career, his movies placing him in the company of Federico Fellini, Michelangelo Antonioni, Luchino Visconti and Franco Zeffirelli among the greatest Italian directors of all time. As a young man, Bertolucci wanted to become a poet, inspired by his father, Atillio, who was a poet as well as an art historian. He moved to Rome to study modern literature at Sapienza University yet it was his father's part-time occupation as a film critic that was to shape his career. He had helped Pier Paolo Pasolini find a publisher for his first novel and Pasolini in turn took on Bernardo as his first assistant when he began his film directing career with Accattone in 1961. It was not long afterwards that Bertolucci quit university and at the age of 22, in 1962, he directed his first movie, La commare secca, with a screenplay by Pasolini and produced by Tonino Cervi. Last Tango came 10 years later, by which time Bertolucci was beginning to acquire a reputation as a director of talent, having attracted particular acclaim for his 1970 film, The Conformist, based on a novel by Alberto Moravia. 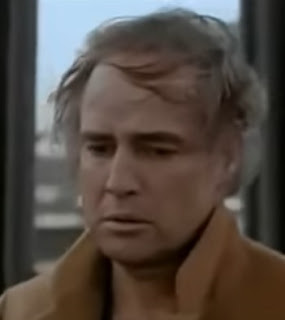 It was Last Tango that thrust him into the spotlight, however. Though there was an Oscar nomination, it was overshadowed by the backlash of moral outrage. The Italian authorities, as well as ordering initially that all copies of the film should be destroyed - an appeal court later allowed three to be saved - launched a prosecution for obscenity against Bertolucci, who was given a four-month suspended jail sentence and a five-year revoking of his civil rights. Nonetheless, his career moved to another level. 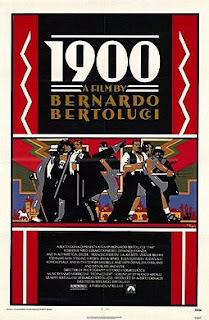 He made his comeback in 1976 with 1900, an epic that ran to five hours and 17 minutes in its uncut version, telling the story of two men from different ends of the social spectrum in Bertolucci's native Emilia-Romagna, set against the background of political turmoil in Italy in the first half of the 20th century. Boasting a cast that include Robert De Niro, Gérard Depardieu, Donald Sutherland and Burt Lancaster, 1900 was hailed as a masterpiece. More success followed with La Luna and Tragedy of a Ridiculous Man before The Last Emperor, his British-Italian biographical film about Puyi, the last emperor of China before the People's Republic of China imposed communist rule. The first western feature film for which the producers were authorized to film in the Forbidden City in Beijing, it won nine Academy Awards, including best picture and Bertolucci's best director. The Last Emperor marked the beginning of his working relationship with the British producer, Jeremy Thomas. Although hampered by serious back problems that now mean he is increasingly wheelchair-bound, Bertolucci continued to work into his 70s. In 2007, he received the Golden Lion Award at the Venice Film Festival for his life's work, and in 2011 the Palme d'Or at the Cannes Film Festival. 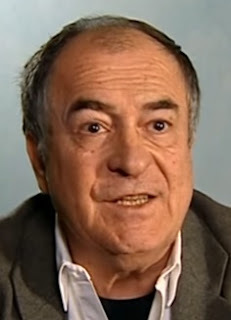 Married to Clare Peploe, a writer who worked on the screenplay of Antonioni's 1970 classic Zabriskie Point, Bertolucci is a former supporter of the Italian Communist Party. He was awarded a Star on the Hollywood Walk of Fame at 6925 Hollywood Boulevard in Hollywood, California on November 19, 2013. 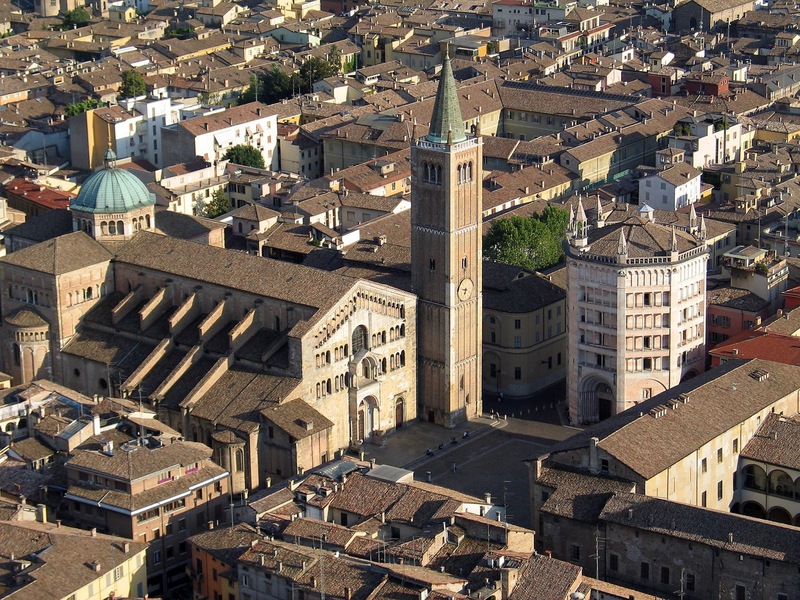 Bertolucci's home city of Parma suffers a little from living in the shadow of Modena and Bologna, both of which have achieved greater fame. Yet the home of prosciutto di Parma and parmigiano reggiano is an elegantly wealthy city with a virtually car free centre, a host of fine churches - including the Romanesque cathedral and baptistery and the Sanctuary of Santa Maria della Steccata - and some beautiful palaces. Emilia-Romagna is one of the wealthiest regions in Europe, let alone Italy. Its capital, Bologna, is the home of the University of Bologna, the oldest university in the world, while the region is a major centre for food and car production. It is the home of companies such as Ferrari, Lamborghini, Maserati, Pagani, De Tomaso and Ducati, and a thriving tourist trade based around the popular coastal resorts of Cervia, Cesenatico, Rimini and Riccione.